'Strathlene Caravans', watercolour, 52 x 34 cm. Strathlene lies to the east of Buckie on the Moray Firth in northern Scotland, around half way to Findochty. 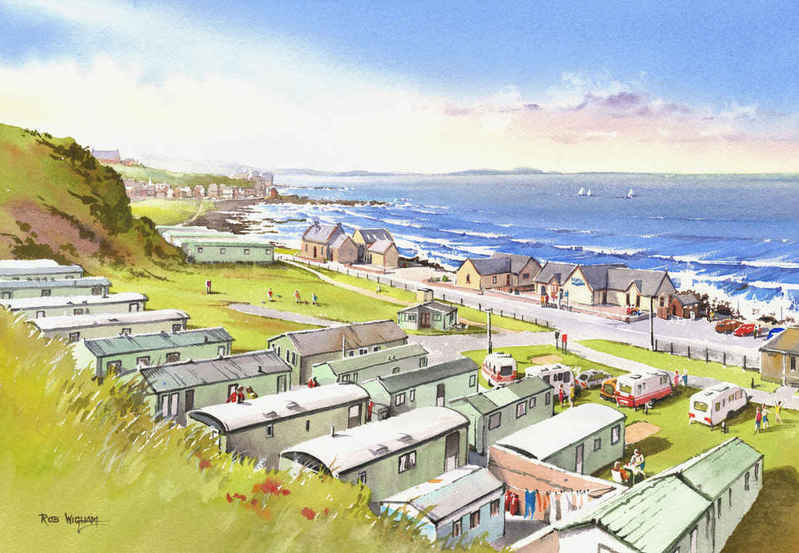 This sunny view of the caravan park is looking west across Portessie Bay towards the more distant Moray coast, from the edge of Strathlene Golf Course. The original painting is sold, but prints are available.